Single Serve Coffee Pods, like k cups, t discs why are they closed? Single Serve Coffee Pods Are Always Closed? 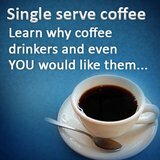 Regardless if it is machine using single serve coffee pods or not. 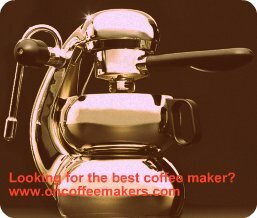 The fact is there are great number of coffee makers these days, it’s really hard to decide which one of the best. Each of them has their unique features ad characteristics that one can truly enjoy. Some of them uses single serve coffee pods and some of them use coffee grounds. They all have some traits that others don’t have. It’s a little bit disappointing that some single serve coffee makers belong in the so called “closed system”, which means that the coffee makers have some limitations. For example, Keurig single serve coffee makers can only use K cups to brew coffee, the Nespresso coffee makers use only Nespresso capsules, and the Tassimo single serve coffee machine is only for T discs. 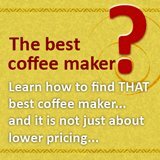 For most of us, the idea is a best coffeemaker would be able to brew the best coffee. Ultimately, that best coffee is what would perk us up to welcome the day. 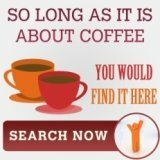 Here, we offer three avenues for you to search and hopefully find that ideal coffeemaker -check out our search tool and start looking for it. 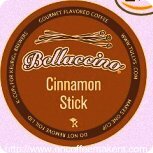 They are not capable of using any other kind of coffee pods or coffee grounds (currently keurig is able to do that). There are some advantages and disadvantages of a closed system in coffee makers that only use single serve coffee pods. Imagine if the system is open, the customers can really benefit from it. For example, you have a Nespresso single serve coffee maker at home and you can use any coffee pod with it, isn’t that very good? You can use any pods, and with that you can drink the flavored coffee you ever want. You also save your effort looking for that Nespresso capsules that are only available in the Nespresso Company. You also can save a lot of money because you can get that coffee pods that suits not only your machine but also your budget. However, if the system is open, the company will suffer a lot. 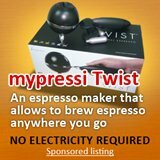 There might be some instances that there product like the K cups, Nespresso capsules, and the T disc not getting purchased anymore. As we all know, there are lots of coffee pods available in the market that is cheaper than the above single serve coffee pods. With this reason, many companies want the system closed for them to benefit a lot from it. Of course, they will earn a lot of money. And if the system is closed, people doesn’t have any choice but to purchase these single serve coffee pods that is exclusively created for their machine.